Receiving an unwanted present has happened to everyone. While the thought definitely counts, there are times when the gift doesn’t suit one’s needs, size, and preferences, and thus needs to be put to a good use, or better still, find a new home. There are several ways to make the best out of a gift that doesn’t fit. “Christmas is the most festive holiday celebration in the Philippines. Even before December 25th, Filipinos had already given gifts to their friends and gone to numerous parties, where prizes are raffled off,” said Rambo Joinani, head of goods and services at OLX, the leading online classifieds platform in the Philippines. The online classifieds platform suggests five ways to make the best out of unwanted gifts so they don’t end up gathering dust in a closet. Those who find themselves with a gift that just isn’t the right fit don’t have to be stuck with it forever, as they can make money out of it by selling it online. OLX provides a wide-reaching and accessible platform, connecting people who buy and sell brand new and pre-owned items and services. Giving gifts or even party raffle prizes and tokens to non-profit organizations or charities is a great way to give back to those in need. Just make sure the items to be donated will be useful to their new owners. Got other friends who received something they don’t need or want? Host a gift-swapping party. Invite friends and tell them to bring their unwanted gifts for browsing, and let them pick the ones they want. That way, each one has a chance to trade in a gift for something they’d actually enjoy. Unwanted holiday gifts can also be put up for swap on OLX. Transforming unwanted gifts is a great way to keep things out of the dump. These little projects allow gift receivers to completely repurpose items into something useful like a gift mug transformed into a pen holder or flower pot, a handkerchief as bag design or accessory, or a picture frame turned into a light switch design cover. 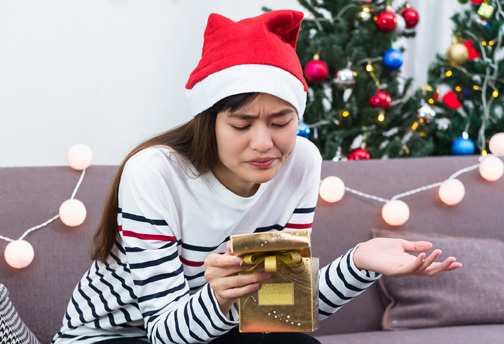 Those who know someone who will love and actually use/appreciate the gift can spread the joy by passing the unwanted present on to someone who will want it. Be careful, though: avoid an awkward situation by giving the present to someone who is not acquainted with the original sender. Make sure the gift is not customized, say, it has the intended receiver’s initials.